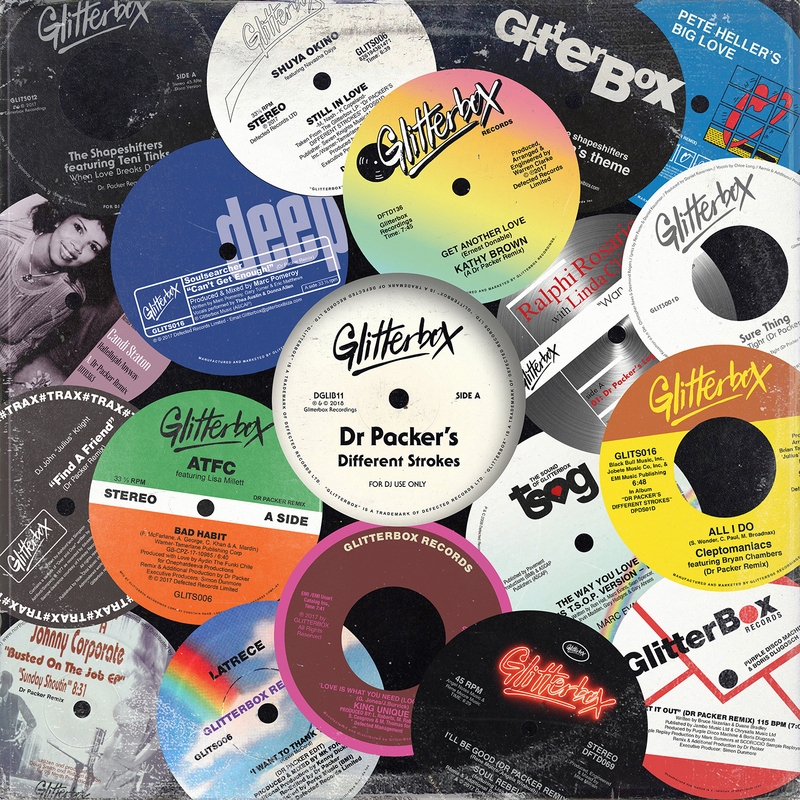 Presenting his long awaited full-length album, the king of disco re-edits Dr Packer graces Glitterbox Recordings with six brand new mixes alongside twelve of his rare cuts and well-loved treasures. Dr Packer’s Different Strokes features Dr Packer versions of soulful house favourites, disco standards and groove-laden floorfillers. Following two DJ mixes from Dr Packer featuring bonus tracks, the album kicks off with a bonafide classic. Dr Packer’s take on Soulsearcher’s ‘Can’t Get Enough!’ maintains all its most iconic elements, the euphoric vocals and timeless groove given a fresh-sounding elasticity. Another highlight and an album exclusive, ‘Big Love’ from Peter Heller’s Big Love is brim full of Dr Packer’s unmistakeable warmth, cowbell accents giving the groove some bump. Next is Dr Packer’s remix of The Shapeshifter’s evergreen ‘Lola’s Theme Recut’ followed by another album exclusive, Candi Staton’s ‘Hallelujah Anyway’. Ron Hall & The Muthafunkaz featuring Marc Evans ‘The Way You Love Me’ (Dr Packer Extended Remix) is the third new cut, followed by another new remix for this album, Dr Packer’s version of Johnny Corporate’s ‘Sunday Shoutin’’, picking up the pace with a funking bassline to suit any dynamic disco set. More highlights include Dr Packer’s versions of ‘When Love Breaks Down’ by The Shapeshifters featuring Teni Tinks and ‘Set It Out’ from Purple Disco Machine & Boris Dlugosch, both brand new remixes. Dr Packer has done it again – breathing new life into your most beloved dance records so you can fall in love with them all over again.